Palm this week will be demonstrating 3D gaming at GDC (Game Developer’s Conference) in San Francisco. As perfect timing would have it, the company has announce the public beta release of webOS PDK or plug-in development kit. For those of you who have checked out Need for Speed or any of the App Catalog 3D games, they were developed using the PDK. With this now available, this should allow for expanded App Catalog offerings. Full press release after the break. Developers can find more information and download the PDK by hitting up developer.palm.com. The webOS PDK, also known as the “plug-in development kit”, is the sole reason we’re starting to see all these amazing new games on webOS. However, up until now, the webOS PDK was distributed to a small group of developers. 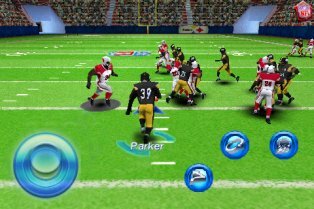 The big players such as EA and Gameloft have used their early access to deliver games like “Need for Speed”, “Let’s Golf” and “NFL 2010″. PreCentral alerts us that Palm will offer up a public beta of the PDK in March. This is exciting for developers and will likely result in even more expansive games on the webOS platform. If the first batch of games are any indication, webOS owners are in for some great games in the not so distant future.